The surge of homelessness is becoming an urgent reality for many in our city. On any given night, there are approximately 950 homeless individuals in Santa Monica. In the greater LA region, that number is closer to 58,000. Rising rents, stagnant wages, and a decreased supply of affordable housing means that over 13,000 people in LA County lose their housing every month. We’re making strides to address homelessness — and we’re doing it together. We are providing special funding. 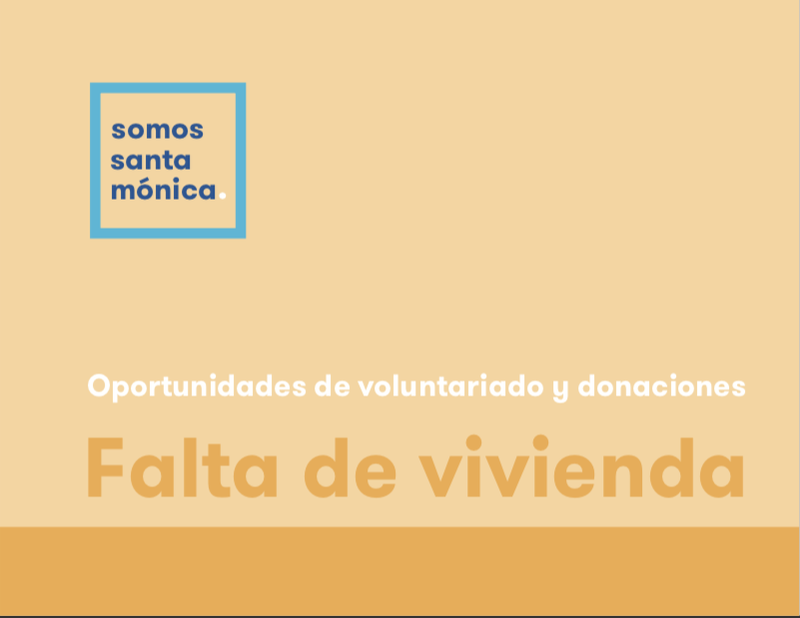 In November of 2017, the City of Santa Monica authorized $1.4M in one-time funds to roll out an Action Plan that works to address homelessness from all angles — engaging outreach workers and key staff from the Police, Library, and Fire Departments — so we can get people into housing and connected to services. These funds are in addition to the annual $2.8M given toward homeless service grants. We are expanding City programs. The City’s affordable housing programs are immediately available to those who are about to lose their homes. Initiatives like Project Homecoming, Chronic Homelessness Project, and Homeless Community Court work to connect the most vulnerable in our community to services, housing, rehabilitation, healthcare, and job training. We are supporting historic County initiatives. Residents across LA County overwhelmingly voted to pass Measures H and HHH, which work to provide services, prevent homelessness, and finance the construction of affordable permanent-supportive housing for those without shelter. Track the progress for new supportive housing projects in your area here. Follow what the County is doing at homeless.lacounty.gov and check out everyoneinla.org, United Way’s "Everyone In" campaign for supportive housing. The VA Greater Los Angeles Healthcare System helps veterans access services and permanent housing. 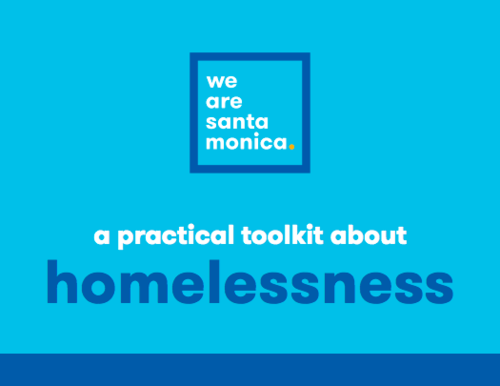 Our homelessness toolkit (available in both English and Spanish) is designed to help the Santa Monica community know what to do and how to make a difference when faced with the reality of homelessness in our city. Similarly, our FAQ is a resource to help you understand the issue better and dispel any myths or incorrect assumptions. Click the banners to view and download.